I’m pretty sure that if you wait a bit longer Webhooks will be added to CI trigegrs in VSTS however, if you are impatient like I am then the good news is this turned out to be much easier than I originally thought. All you need is an Azure Function app and a piece of code (check below) that calls VSTS CI Build definition REST API in order to trigger a build definition. The build definition Id. When you click on a build definition you can pick that from the URL. There are also REST API available for getting the list of build definitions if you wish to make the code more advanced. I’m monitoring two different branches and triggering two different build definitions. Now that you have that code in place all you need to do is to add the address of that function in the Webhooks setting of your repository in BitBucket. 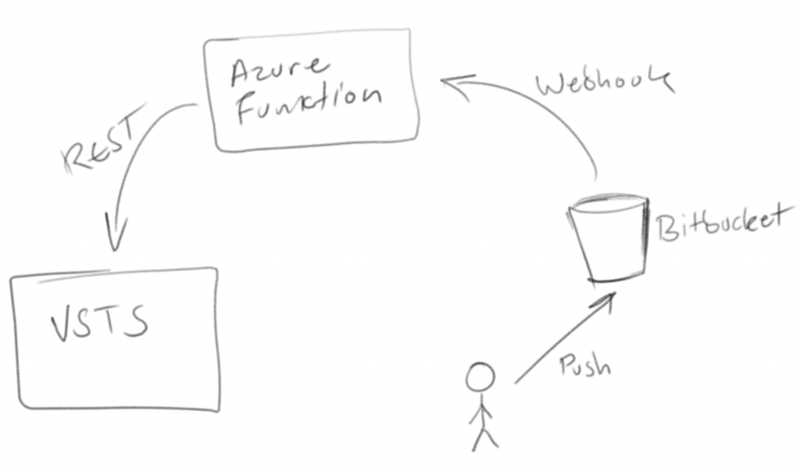 From this point on whenever you push any changes to your repository, BitBucket will send a push payload to the Webhook azure function that you’ve defined and if the branch matches the condition the build definition will be triggered.